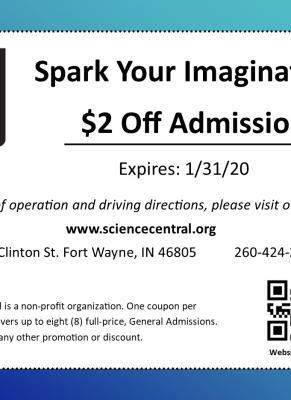 Spark your imagination at Science Central! 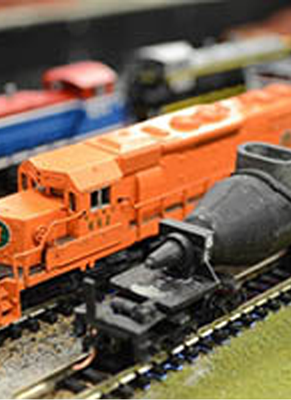 Explore 200+ permanent hands-on exhibits and national touring exhibitions. 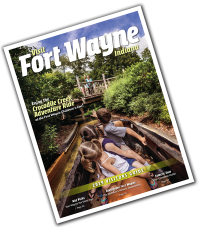 Get fun, educational items in our Gift Shop. School Year Hours: Mon & Tue: CLOSED; Wed-Fri: 10 a.m. - 4 p.m.; Sat: 10 a.m. -5 p.m.; Sun: 12 - 5 p.m. Admission: $9.00 ages 3 and up, Children 2 and under and Science Central Members are free. Tue-Sat: 10 a.m. - 5 p.m.